If you haven't been to Sun Roamers in a while, you won't recognize us.We have completed our 3 year renovation. Paved roads, renovations of our cabins, our clubhouse, welcome center, and pavilion. We also have added "park model" R/V's. All of these cabins and "park models" are available for daily, weekly or monthly stays. Our 6,000 square foot clubhouse can accommodate up to 300 people, and is equipped with a commercial kitchen, excellent for clubs of all sizes, weddings, reunions and birthday parties. So whether relaxing under the whispering pines, or enjoying the many amenities we offer, we hope your stay with us is a wonderful experience for you and your family in south Mississippi. 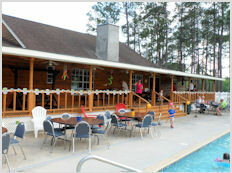 Sun Roamers RV Resort offers onsite activities including fishing, putt putt golfing, horseshoes, swimming and a lot more. Locally you can browse through the shops in Picayune's historical downtown area. With a full service Quick Stop and a Walmart within just 1 mile of the resort, convenience is at your fingertips. Sun Roamers RV Resort's location offers unique opportunities to our guests. Within 45 minutes, you could be cruising the beautiful beaches of Mississippi, entering historical New Orleans or exploring one of the many natural attractions. The coastal area offers exciting activities. Try your luck at one of the casinos, enjoy the cuisine offered at one of the fine restaurants, excellent golfing or fishing is available, island excursions, amusement parks, marine life, or just stroll down the sandy beaches of Mississippi. 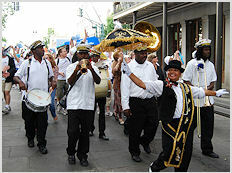 South of Sun Roamers RV Resort, you can enjoy the fine dining, sight seeing in the heart of New Orleans, or going on one of the many tours offered. 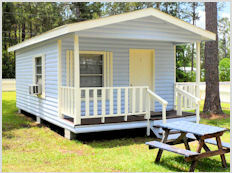 Sun Roamers RV Resort is less than two miles off interstate 59 and within minutes of interstate 10 which can take you into New Orleans or the Gulf Coast. WE ARE NOW RATED IN THE TOP 2% OF PARKS NATIONWIDE AND IN THE TOP 300 GOOD SAM PARKS!